Tumbled Bluestone Wall Stone takes squares and rectangles and tumbles them with an abrasive filler. The result is that the sharp edges of the stone of chiseled off as are occasional pieces on there top and bottom. The tumbling instantly adds a desired aged and weathered look to the stone. 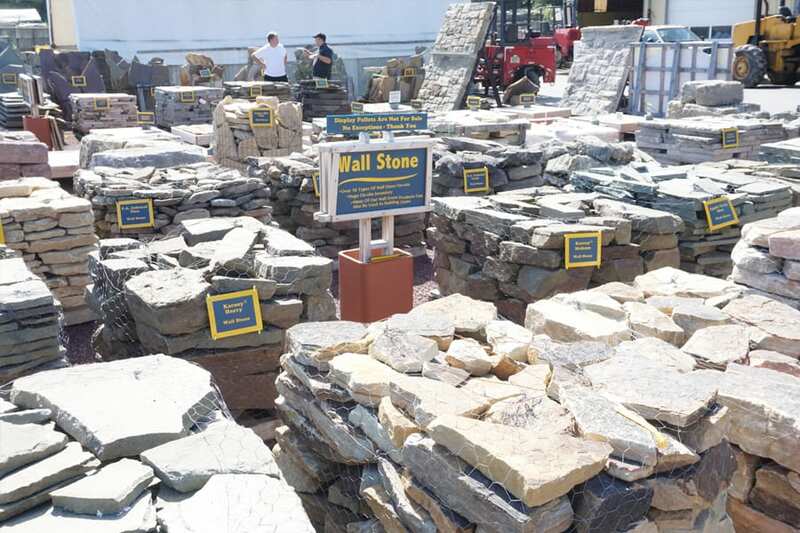 These are uniform height pieces off stone so a wall is extremely easy to build with Tumbled Bluestone Wall Stone as compared to many other types of wall stone. 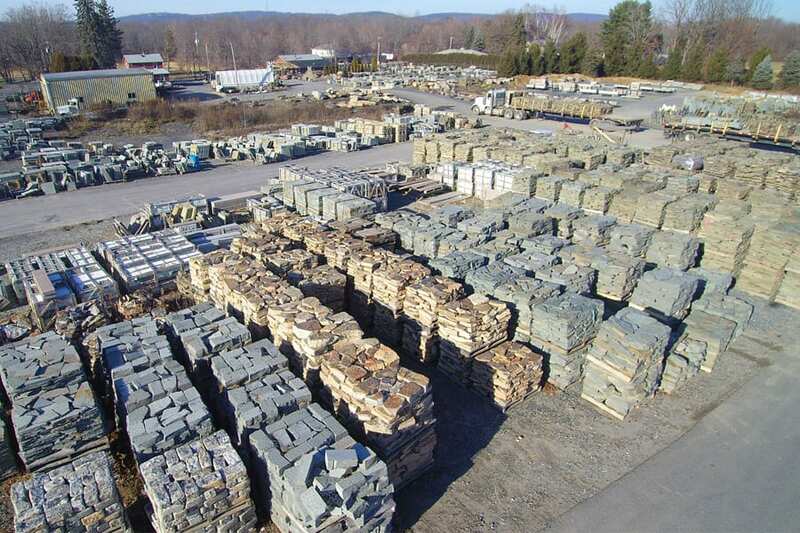 Color is the blues, grays and earth tones of full range color bluestone. Goes great with the full compliment of bluestone product lines we offer. Traditional bluestone tumbled to soften the edges. Dimensional pieces - uniform thickness. An extremely easy stone to use for wall building. 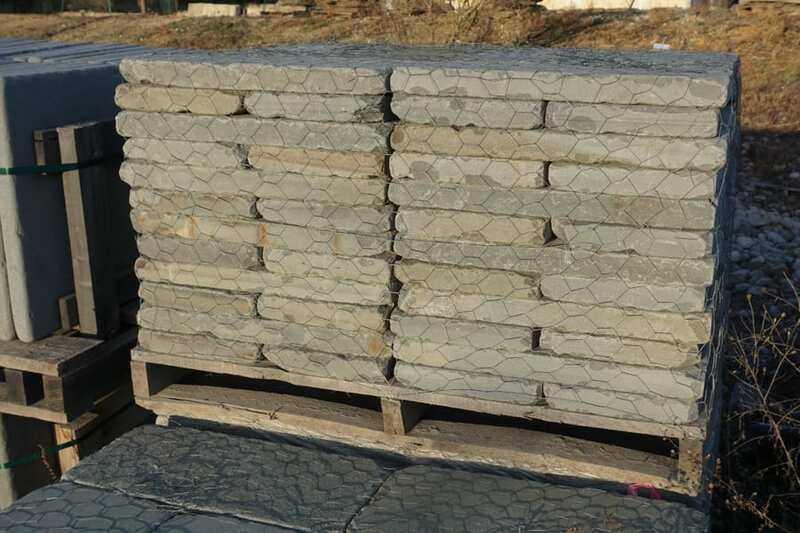 Square or rectangular picks of 1.5 to 2" thick Bluestone are tumbled to soften the edges. This immediately provides a more aged look to the finished wall. 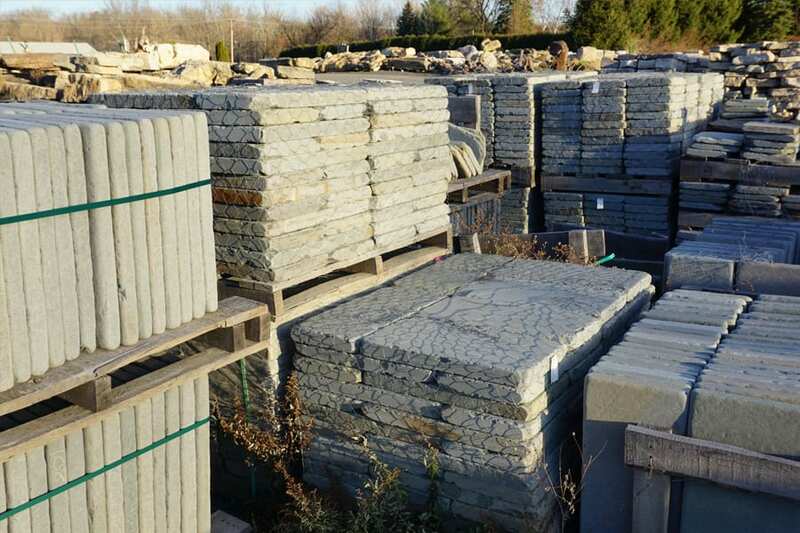 We carry Tumbled Bluestone wall stone in a number of different sizes. Pallets cannot be split.